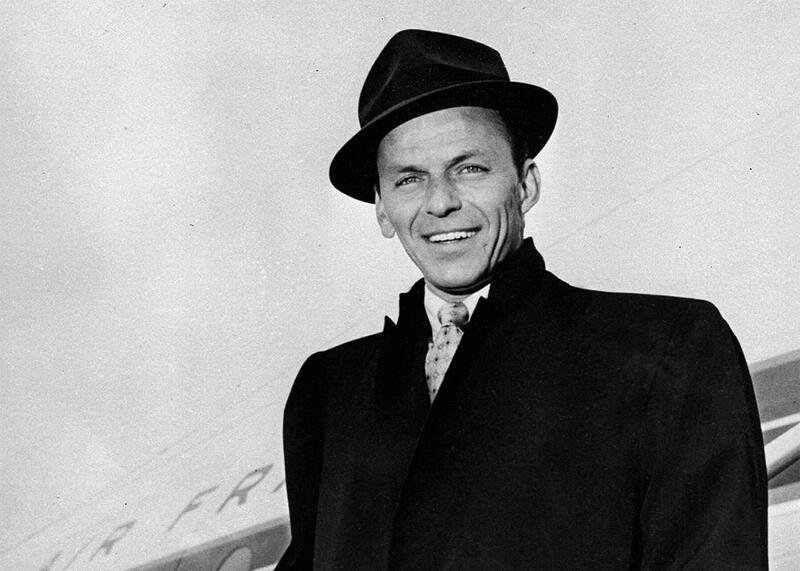 Was Frank Sinatra a bad person? Maybe, but that’s not a great way to think about music. Entry 14: Why it’s not helpful to divide artists into heroes and villains. Your posts this last round brought me back neatly to where I began, thinking about voices. I opened our discussions with a reference to Frank Sinatra’s centenary this month, but now I have to admit I’ve never been able to sign up with the cult of Ol’ Blue Eyes as one of the great 20th-century pop singers. Even though I do realize that technically it’s as near an objective truth as these things get. I always heard Sinatra as the voice of self-satisfied, postwar-establishment, white American masculinity, exactly the kind of fella who’d be nicknamed “Chairman of the Board” and make racist jokes about Sammy Davis, Jr., even while singing alongside him onstage (often “Me and My Shadow”). Even as a straight, cis, white guy, neither my childhood on the bullied geek-to-sissy spectrum nor my later post-punk subcultural (and, probably, Canadian) attachments allowed me to comprehend ranking Sinatra’s singing anywhere near as soulful or empathic as that of Louis Armstrong, Ella Fitzgerald, or Billie Holiday, or Paul Westerberg or Patti Smith, for that matter. Of course, the facts about Italian immigrant assimilation and Frank’s own innovations on the mic and in the studio are more complicated. But I still saw him as the nemesis, marked out for piss-takes (Iggy Pop dubbing himself “the chairman of the bored,” Sid Vicious singing “My Way” with the blank idiocy it deserves). Whenever he played the wounded party, in his streetlamp ballads, I assumed someone else was paying the price, long before I heard the stories—Sinatra allegedly throwing a woman through a plate-glass window at a party, for example—that give that impression weight. I simply heard entitlement in his general ease, the fist inside the velvet glove. Today, however, I understand a lot more about my own entitlement, and that of the more alienated, introverted, twisted-intellectual white boys whose songs I often preferred. My type is often guilty of equally vile behavior under the cover of self-assumed sensitivity and niceness. And male musical aggression, especially coming from men in underclass and outsider positions, involves a series of defenses, strategies, and masks produced by the present and the past. So I try not to have kneejerk reactions to the ugly aspects of Future’s lyrics that Jack discussed, for example—picking out cultural heroes and villains too quickly is usually an obstacle to hearing music, not a help. Still, that’s why I appreciate all the sounds that project music outside the presumptive moral and biological lines, as in (as Jack said) the messy, post-human-humanity of the technologically distorted vocal tones that we get from Future, Young Thug, and many other young rappers (which is why 808s and Heartbreaks remains to me Kanye’s most salient moment among so many), and in the lysergic dandyism of ASAP Rocky. The ghost of history is in the machine, along with the ghost of the never-arriving future. I hear that as well in an album that hasn’t gotten as much love on year-end lists, by the unclassifiable Scottish black-and-brown trio Young Fathers, under the deliberately identity-disobedient title, White Men Are Black Men Too. Second-generation strangers in a kind-of familiar land, their words and sounds carry on the projects of ensembles such as Mass Attack and TV on the Radio, attempting to find an outside to the outside even while knowing that the systems are rigged. The further reaches of that approach are audible in the digital music that Philip Sherburne’s great year-end essay on Pitchfork as well as Andy Battaglia’s for NPR identified as a crucial 2015 tendency, full (but not exclusively) of queer, trans, and otherwise non-binary producers, composers, rappers, and performers, including Arca, Mykki Blanco, Anonhi (whom I mentioned in my opening post), Le1f, Rabit, Lotic, Elysia Crampton, M.E.S.H., and Amnesia Scanner, as well as somewhat more recognized figures such as Holly Herndon and Oneohtrix Point Never. In a year when the discipline and punishment of inhabiting a black body, a refugee body, a female body, a trans body, and in the Paris attacks also a musical and sociable body, were so often on our minds, it feels very worthwhile to have music that also says that in general, as Battaglia does in opening his piece, “It’s odd to have a body.” Songs can probe each of those specifics, but sound can do it more generally. Much of this is present, too, in the works of the controversial PC Music and the affiliated (and recently New York Times–praised) producer Sophie. But there I would say it’s more of an old-fashioned Pop Art, Warhol-esque combination of consumerist critique and surrender. It isn’t as fresh, but it’s also the flickering edge between what Julianne called “bad poptimism”/“rotten capitalism” and ecological nihilism, so I think it remains worth hearing. Finally, this is why I would disagree gently with Julianne’s statement that Vulnicura was not “Bjork’s best album musically.” It’s definitely short on hooks, but what it does musically is frame Bjork’s very personal, even diary entry–like account of her marriage’s dissolution within this electronic format of doubt about the fixity of human experience, partly in collaboration with Arca: Today it is like this, but what is “today”? It seems to me like a stroke of sonic genius equivalent to Joanna Newsom’s depersonalizing of her experience into the cosmic-dust strobe of her compositional style on Divers, which if you cornered me I would probably call my single favorite record of the year. Like Grimes’ album, as well as Buffy Sainte-Marie’s, these are statements about women’s own autonomy over their music making, technologically, at a time when the will-to-pop is affording excess credit to male producers. But I also agree with Jack and the New York Times’ Ben Ratliff that there was something especially significant about the immersive long-form record this year, about “muchness,” including from Bjork and Newsom, as well as in Titus Andronicus’ Most Lamentable Tragedy, Kamasi Washington’s The Epic, Kendrick Lamar’s To Pimp a Butterfly, and before that D’Angelo’s very-late-2014 Black Messiah, most prominently, though I could also name Miguel’s and Iris DeMent’s records, or Future’s never-ending stream of production, among many others. It might be about saying “Why not?” in the face of music’s basic unprofitability no matter how it’s packaged. But I think it was also resistance to the niching and atomizing of life and time itself by social media, tabloid scandal, and other forms of goldfish-like attention. If we’re going to do it, these albums say, let’s do it. To hell with any listeners’ or critics’ values of tight digestible statements. Emotionally, ethically, the era demands scale. And on that note, please let me carve all your faces on a peak the size of Mount Rushmore, stalwart Music Clubbers. I am so grateful you gave up your time in this crazily busy season to ruminate on the year’s sonic detritus with me. Hell, when some combination of us regroups next year, it will be under a new U.S. government-elect, hopefully not of the too-much-more batshit variety. How will that bring us new noises, and what are your other forecasts for 2016?